Let me say first that music is very very important to my husband and I; we love how certain songs can instantly set a tone and create a moment, so getting the music right for our wedding meant a great deal to me. As we were having our wedding in France, I was very nervous that I wouldn't 'gel' with whoever was in charge of music, or that language would become a barrier. Enter Nick! From his website and other testimonials from couples I was instantly put at ease. We had a lovely Skype session to get to know one another, and got on really well from the get go. He seemed to bounce off my neuroticism and wouldn't mind when I sent him panic emails at 3am! One of my favourite memories of the day was being inside getting ready and hearing the music start as guests were arriving. I had given Nick a small sample playlist of what sort of music I wanted playing for this part of the day and he put together the most beautiful playlist. The best moment was when I heard a song I hadn't heard since my early teens which I loved so much and had since forgotten about, and just by chance and by getting a vibe of my music interests he came across that song and included it! Later on the dance floor was in full swing, with a range of songs to suit all tastes which is just what I wanted. Nick got on well with all my guests, and everybody commented how personable and fun he was. It truly felt like Nick was one of the wedding guests, and we loved having him there. He is approachable, fun and just excellent at what he does. Being a bride is stressful as you feel you're spinning a hundred plates, and all you want is to be able to confidently hand one of those plates to someone knowing it will all be wonderful and taken care of. Give one of your plates to Nick, trust me. Sophie and I got married at Blanche Fleur in Chateauneuf de Gadagne this April and Nick was our DJ. From the moment of first contacting him to even after our wedding he has been the most friendly and down to earth guy as well as being incredibly professional and easy to work with. He is an amazingly skilled DJ both technically and in his ability to keep 100 people bouncing around the dance floor for 5 hours straight. He played exactly the type of music we asked for in such a creative way through a great sound system. It was so good that all our friends keep asking for a copy of his mix. Nick brought a great sense of style and fun to the day and we would definitely recommend him (2 of our friends already want to book him for their wedding!). Entertainment & music was a top priority for us on our wedding day. Because ours was a destination wedding with people flying in from the United Kingdom, the States, Australia, the Caribbean, even South Africa & Norway, we wanted to be sure to show our guests an amazing time -- and the bar was set very high as our guests love a good party! Nick helped us to create an incredible atmosphere and had the perfect music to accompany our celebration. He was so helpful along the way, answering phonecalls and emails whenever we had a quick question, giving us suggestions when we were stumped, and in addition to the music he helped with the lighting and overall sound production of our ceremony and dinner. Everything flowed seamlessly, and Nick was a pleasure to work with every step of the way. We can't recommend him enough! We had a brilliant time! Thank you so much for all your help and assistance in making the day run smoothly for us (with the announcements etc.)... and the music was fab - perfect and exactly what we wanted. I don't think Paul has ever danced so much - it was a great party and really catered to everyone which was nice. Thanks for being so flexible adding the extra time as well. And lastly thank you for finding the exact version of certain pieces of music, I really appreciate it as it was something that was personally important. Nick, thank you so much for all of your hard work in making our day run so smoothly and ensuring we and our guests had the best time!! As you know, music was so important to us and you absolutely nailed it! You really are the true professional, and just got us as a couple, meaning the music was perfectly pitched! Everyone has been raving about how great it was! Also a special thank you for supporting Will our musician and ensuring all the necessary equipment was on site - you worked perfectly together and that's because you went above and beyond! We really can't thank you enough!! Still on a high and just about getting the feeling back in my feet after dancing from start to finish!! Nick was simply fantastic! We couldn't have picked a better person to take care of all the sound & lighting for our wedding at Chateau de Robernier. Our interaction with Nick was very smooth and straightforward all along the way. He was very helpful and responsive during our preparation phase both on the phone and via email. We were delighted to work with a true professional who is flexible and who knows how to quickly handle last minute changes. All our guests also had a great time dancing to his excellent selection of music until 4 AM. We definitely recommend Nick for your wedding or any other events in the South of France. Planning a wedding in the South of France whilst living in Dubai was no small task. Add into that the cultural mix of the bride and groom’s families and friends and we were starting to panic about where we would source the right entertainment! Our wedding planner suggested UK DJ’s Abroad and from the first Skype call our fears of dodgy ‘wedding DJ’s’ were put to one side – Nick knew immediately what vibe we were going for, and whilst he couldn’t personally be there to DJ on the day he proposed his colleague Dave who did a fantastic job. We had further Skype calls and emails with Dave who took time to understand the genres of music we were into and offered a sample playlist for the dinner and the party, which we were happy with, and he worked in specific special music requests including some Arabic numbers! He also did a great bespoke mix of our first dance and took requests from guests on the night. The party was going until the early hours and if we weren’t all so exhausted we would have kept on going. Nick and Dave are skilled professionals at what they do and we couldn’t recommend them highly enough. Nick played at our wedding in lovely Cotignac, Provence. He was so easy to work with and he helped out with everything from microphones for the reception to beautiful lighting. The day was perfect in every way! Beautiful bride, fantastic food and thanks to Nick, outstanding music and dancing into the small hours of the night! Everybody really enjoyed themselves and we had many complements on the music. We also had a live violinist (Kathrine Hvinden Hals) who played in collaboration with Nick on the decks and they were a perfect match getting everyone up on their feet. The party was a brilliant end to an amazing day. We got married this year at Chateau Grimaldi and Nick did the most amazing job of sorting all the lights, music, microphones, a screen for the speeches and he was he the best DJ ever!! We didn't have to worry about anything on the day as he had it all sorted and made sure that along with our guests we could just focus on having a brilliant day. He was so professional and we really enjoyed working with him, from the initial Skype calls so he knew what we wanted to setting up before the wedding and being a part of the day. We can't recommend him enough. He really helped make it the best day of our lives. We booked Nick to DJ at our wedding at Blanche Fleur and provide the music from the guests arriving, through the ceremony, aperitif, dinner and dancing. We absolutely had the best day, and Nick was a huge part of that in providing such a great soundtrack to the whole day. 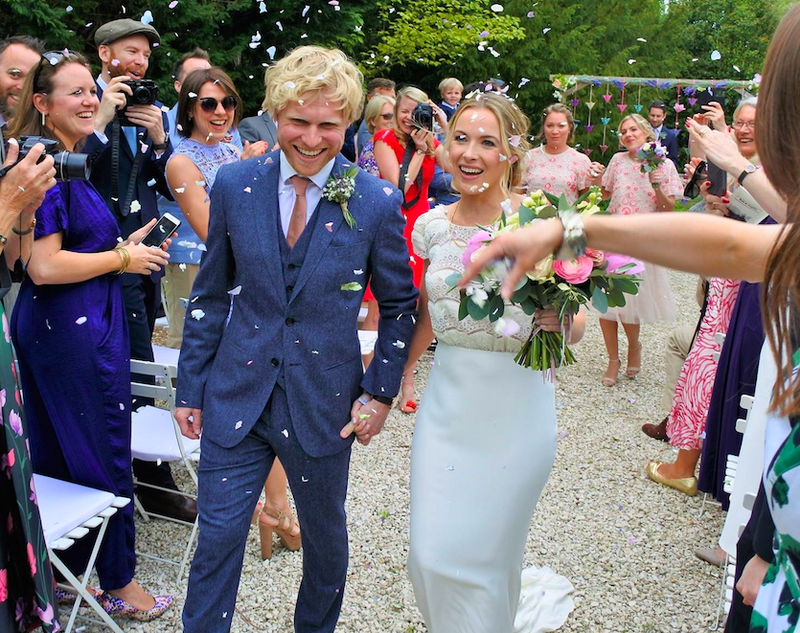 Coming back from France and looking back on it we have both realised what a huge impact Nick had on the day from start to finish - he captured the mood throughout the day perfectly and we wouldn't change a thing! It was amazing! From the first consultation on Skype it was so reassuring that Nick understood exactly the kind of day we wanted and the type of music we had in mind. Nick was very accommodating and always quick to respond to questions, queries and requests. Everyone who attended our wedding mentioned how great the music was through the day and Nick is such a talented DJ that he easily kept the dance-floor full through the whole night. Playing Don't Look back in Anger as the final song surrounded by all of our friends and family singing along was one of the best moments of our lives and it doesn't seem enough to just say thank you - it was perfect. We couldn't recommend Nick enough! It's hard to find a DJ who can play for a British wedding in France and Nick was the perfect choice. He provided our speakers all day, for the ceremony and speeches and was on hand to manage everything audio from start to finish. He was very professional: we had skype calls early on, responded to emails quickly, came dressed for a wedding and most importantly he was brilliant on the decks. Everyone commented on how great the music was, keeping the floor busy with a brilliant mix of styles. He was fantastic, couldn't recommend him more. Thank you so much for rocking our wedding, everybody loved your music and was dancing away the whole evening exactly how we hoped for. You did an amazing job and exceeded all of our expectations, we are very thankful for your great work, especially including all the Latin music for the 'hora loca'. It was a true pleasure working with you. We enjoyed planning together with you and felt taken care of from the very begining, muchas gracias! Lots of love from the both of us ❤️! We were delighted with Nick from the beginning to the end. He took his time to get to know us and get an idea of exactly what we were after. He put up with our lists and lists of music requests and our requests for odd secret music surprises for each other. He kept everyone in their dancing shoes all night and was extremely professional and very easy to work with. With his selection for the different “parts” Nick kept the perfect ambience for each moment. Especially in the evening around and after the dinner his music made many people, even those who are not necessarily perceiving themselves dancers (including the groom) pretty ambitious on the dance floor and it was a great mood and pretty packed there. Everything was extremely well arranged and our wishes fully considered. So for any future gig, we can strongly recommend Nick as he will make your party an unforgettable event!! 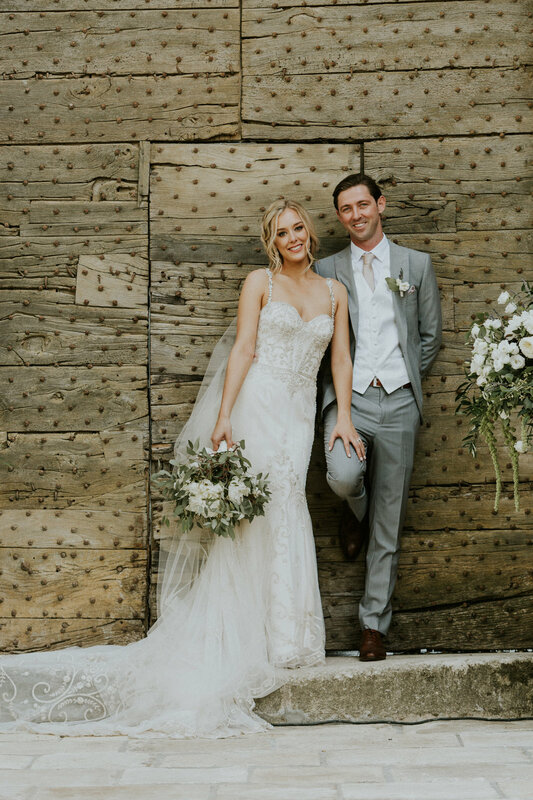 Nick’s experience really shines through - his well thought-out approach to selecting music for our wedding made the daunting task of putting a playlist together for each stage of the event an absolute breeze. He was also able to read the crowd brilliantly and play tunes that got the crowd dancing - with an impromptu karaoke performance for one of my friends thrown in too! I’d recommend Nick in heartbeat. We hired David through UK DJs Abroad to DJ at our wedding in St Tropez and couldn't have been happier. His performance was outstanding with literally every one of our guests, young and old, mentioning his set. The music selection was absolutely amazing! It was definitely not an easy job as we were unlucky with rainy weather which affected the mood of some guests, but we definitely made the best out of it, and David's DJing was an important part of it. I saw more people on the dance floor than in most other weddings I’ve attended so he did very well indeed. Thanks so much to David for a fantastic job managing the sound effortlessly from all angles on our wedding at Blanche Fleur on Sept 2nd. Brilliant party, stewarded like a pro! Thanks also to Nick for going above and beyond in the planning process. Excellent job all round! All we wanted for our wedding was a big party, a vital part of this was the music. Nick did more than deliver! He was incredible. All the music was arranged perfectly and he made sure that everyone was on the dance floor. We have had so many compliments on Nick since....Legend was quoted too! I genuinely hope we get to cross paths again! It was a pleasure to collaborate with you and we really enjoyed sharing this special day with you. You have been very professionnal and reactive throughout the process, but most important, very kind and friendly. You did a great job, keeping the dancefloor packed all night long so thank you very much. We wish you all the best for the future and hope to see you again in France or Switzerland! Just to say a massive thanks for making Saturday the best day ever . David, the guys were extremely complimentary of your music and professionalism !! You rocked ! !